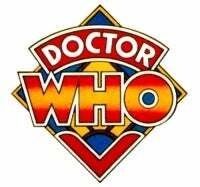 This thread is for any discussion related to Doctor Who. Anyone else watch the final episode (Journey's End Part 2) of this year's season last Sunday? + Wow... talk about a whole massively long series of events coming together into a climax!! Kinda reminds me of the G1 comics (Furman) or Beast Wars... interesting how it crosses over with The Adventures of Sarah Jane and gives birth to the Torchwood TV series. + The Meta-Crisis creating three Time Lords was pretty cool as it was effectively seeing three Doctors at the same time! I thought it was a neat idea and something a bit more refreshing/original than merely having the Doctor run into past versions of himself (especially considering that this 10th Doctor has already met the 5th Doctor in the short episode Time Crash). Having said that, the fanboy in me would really love to see the Doctor meet up with previous versions of himself - especially all of them. Yeah, I know they would have to find other actors to play the deceased actors for the first three doctors and Tom Baker has always refused to play the Doctor again (and has never appeared in other episodes where the other Doctors met) - so they would have to find someone to replace the Fourth Doctor too (I'd recommend this actor, he's very convincing!). + Doctor Donna was quite interesting - it was really cool to see a female Doctor! At the same time, I liked the tragically melancholy fate that was sealed on Donna as a result of possessing the Doctor's mind. + Nekkid Meta-Doctor! *teeheehee* David Tennant is widely considered to be one of the best-looking Doctors (rivalling Peter Davison (5th Doctor)). Free beefcake! Tennant is the second youngest person to portray the Doctor (youngest being Davison who was 29 when he began his role as the Doctor). Traditionally the Fourth Doctor has always been my favourite... but this Tenth Doctor has become my second favourite and could possibly overtake the Fourth Doctor as my personal fave! I think the idea behind Doctor-Donna was to retcon/disprove the plot device mentioned in the DrWho movie that fans refused to accept - the Doctor being half human. By showing that a human/timelord hybrid could not survive, it effectively over-rules the existing concept and proves that it couldn't be true, or must have been a mistaken assesment by the Master (more fans would now be able to say it now isn't possible, and reject that one-off quote by the Master). I think the real thing that fans should really be debating about on the final episode, is if he has now used up one of his 12 regenerations. He said himself that the 'regeneration energy repaired himself, but didn't want to change his form because he liked it, and syphoned that part of the energy to the hand'. His body *generated* the regeneration energy AND it repaired him, like any previous regeneration. Just because he still looks the same, it doesn't mean he didn't regenerate in the visual sense. The Timelords have (apparently) a standard 12 regenerations, and each one could be seen as being like puberty, you can change a lot or a little (or in the doctors case this time, not at all). It is the repairing of a dying Timelord's body that they can only do 12 times, which is what a regeneration is for, not just to the changing of appearance - after all Romana did it a few times in one episode like changing clothes, and it wasn't regenerating. Changing form is obviously something they can do by choice, and not something that has to happen with a regeneration. So in the final episode, he had the regeneration energy repair his body that can only happen 12 times to a Timelord, which effectively means the 10th Doctor is also the 11th Doctor. I think this is something that the writers will not acknowledge, because they will see regeneration as a visual thing, not an 'energy' based concept, and is gonna bug me the next time they have to change actors and call the next one the 11th Doctor. twas no regeneration he merely used a small portion of regen energy. Daleks speaking doich , pure gold!!!! 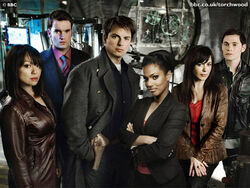 I haven't seen Torchwood season 2 yet, is it set after Dr Who season 4? Where do the Sarah jane adventures tie in? I dont like the flashy regenerations of the new series, i'd rather have a cool transformation effect then the voooooooooooooooosh fire vortex everywhere. I watched this series some time ago and I must say it was the best season yet! So many plot points from the very first episode onwards tied into the final. Very well written I think. However the thing I enjoyed most about the final... The preview for the Christmas Special: Industrial Revolution Cybermen. Oh yeah. I think that this was meant to be like a quasi-regeneration - the Doctor managed to hold himself back from fully regenerating. So it wasn't a full proper regeneration. I fully agree with the Meta-Crisis thoroughly disproving the whole half-human thing for the Doctor though. I guess it effectively officially retcons the common fan-theory that the Eighth Doctor was suffering from post-regenerative trauma when he made the claim that he was half-human and that the Master was just downright fibbing when he made the claim... the dastardly villain that he is!! Yes! Still doesn't explain why the Daleks speak English at most other times when they're not in Britain though... e.g. on Skaro (-_-) I wonder what Dalekese sounds like. It's set after this season. No it is not. Torchwood series two occurs before the end of Doctor Who series 4. The Doctor Who series 4 finale has big spoilers if you'd not seen all of Torchwood series two. I take it that most of the time we hear the Daleks talking English because they are around characters that the TARDIS is automaticaly translating for (loved the demonstration of that in the Pompeii episode!). Martha no longer has the TARDIS doing that for her so she heard the Daleks using German to speak to the locals. David Tennant is widely considered to be one of the best-looking Doctors (rivalling Peter Davison (5th Doctor). 12 regenerations? I'd say they could get around that with a bit of "it seems the limits the Time-Lords had on regeneration have ceased to be, since the Time War changed everything.."
Martha's fate is tragic. Boo! Martha was the best companion so far. I will miss her. Last edited by Paulbot; 30th September 2008 at 12:11 PM. The last episode of Dr Who was pretty charged I usre enjoyed it. Although I heard rumours David Tennant was doing stage acting now, and so there will be a redcution in episodes next year. (I'd recommend this actor, he's very convincing!). Yep, he's one of the great mimics from Dead Ringers there's even a soundclip out there where he rings Tom Baker as Dr Who, and Tom Baker play along with him, turns out he rather fancied Davros. Paul is on the money deffinetley before DrWho S4, Torchwood S2 is very good, much better than the patchy (imo) first season. Just wait and see what happens in it! No, that's the point. Reguardless of how much of the regeneration energy he actually used, a Timelord body can only generate 12 bursts of regeneration energy, and he had one of those 'bursts' in the final episode. It is irrelevant as to what happens to that energy (he used some and focussed the rest into his severed hand), the fact remains, his body has now used up one of his 12 bursts of regeneration energy, and as such, he is now the 11th Doctor (which spawned 2 hybrid human-timelords in the process). I just feel that the writer threw it in as a cliff-hanger, promo concept, without realising that a regeneration is not a change of form, but a regeneration of the body from a cellular level to save a Timelord from dying - change of form is a side-effect, if they are conscious enough to choose to not to change - thus it counts as a regeneration in terms of previous regenerations. 1st regeneration - body was 900 years old, so probably was just dying from old age. 3rd regeneration - dying from cellular decay from exposure to radiation. 4th regeneration - dying from a fall. 5th regeneration - dying from a toxin. 6th regeneration - maybe dying from a head injury when he was knocked to the floor in the TARDIS. 7th regeneration - dying from gunshot wound and/or surgery on the wound. 9th regeneration - dying from absorbing space-time energy from Rose. (10th regeneration) - dying from being shot by a Dalek, doesn't change physical form though. At least someone official has it on the record that this could/should count as a regeneration, because as I keep saying, a physical change is not required for a regeneration to save the life of a Timelord 12 times.